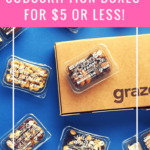 Check out the latest My Sensory Box Reviews on My Subscription Addiction! "Allure had like 3-4 months where they were killing it...... last few months have been awful. I am about ready to..."